Need some assistance configuring and styling Infinite Options? 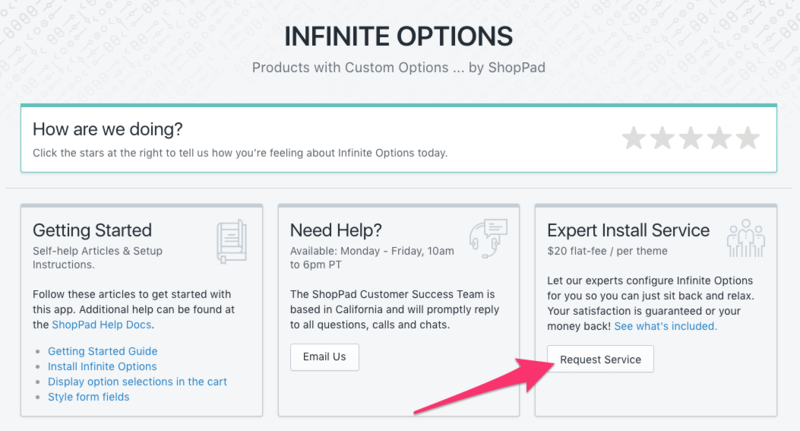 Simply request the Expert Install Service from your Infinite Options dashboard and our team can do it for you. Click here to see what's included. After you've filled out the requested payment information, send our team an invite to your store and we'll proceed with the app installation within 1 business day.